You are designing the future. Faced with some of the biggest design challenges of our time, students are boldly imagining a brighter world and using design tools to share these visions with others. $3,000 for tuition, fees, housing, textbooks, study abroad, conference registration, and other educational purposes. $7,000 USD for tuition, fees, housing, textbooks, study abroad, conference registration, and other educational purposes. Benefits for you and your school such as Vectorworks lab licenses and training provided by a Vectorworks expert, and more! Richard Diehl believes that designers shouldn’t be limited by their tools. 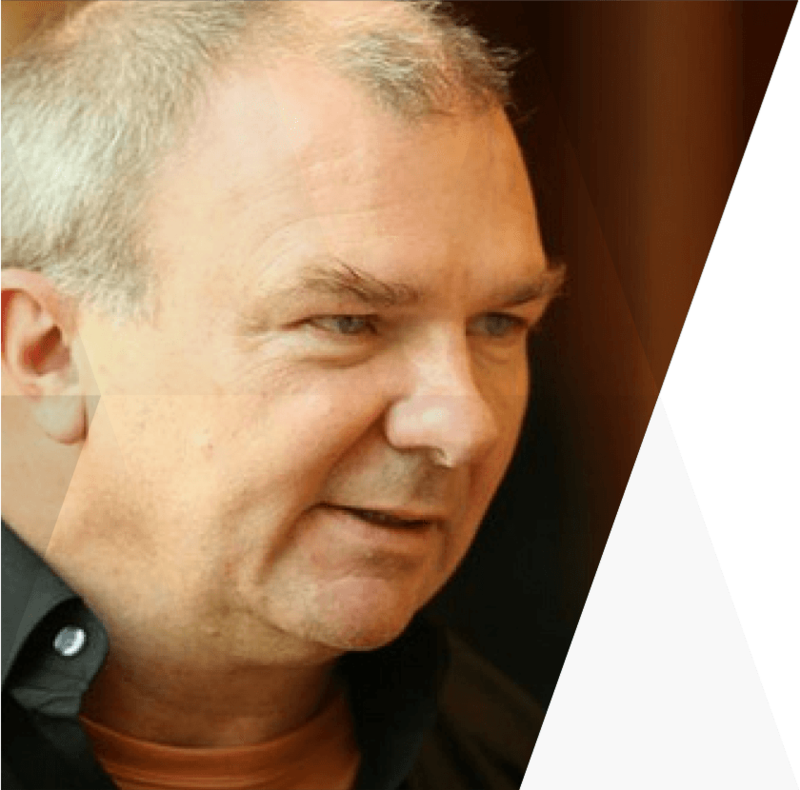 As founder of the company that created one of the first CAD programs, one of the first 3D modeling software programs, and the first cross-platform CAD application, he helped create tools that provide designers the freedom to transform the world. 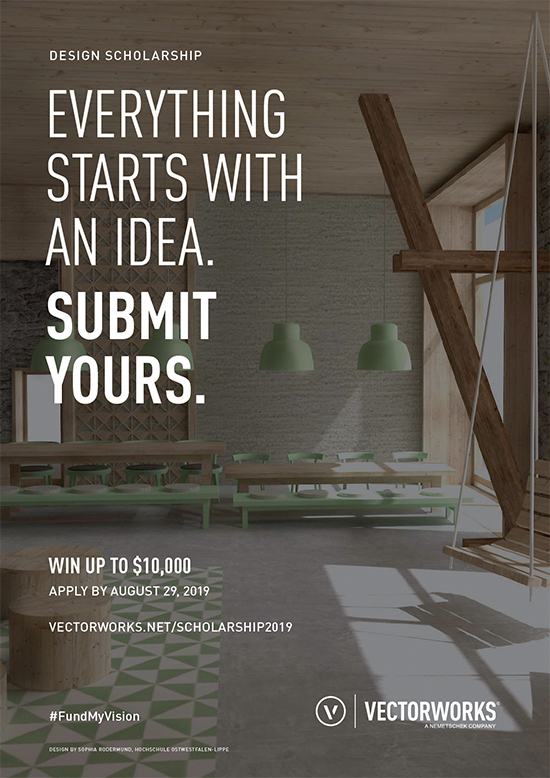 The result is Vectorworks software, one of the most recognizable design software programs in the industry. With more than 650,000 users, Vectorworks empowers designers to keep their creative edge with intuitive tools that won’t inhibit their design process. If you’re a designer, we want to see your best work. 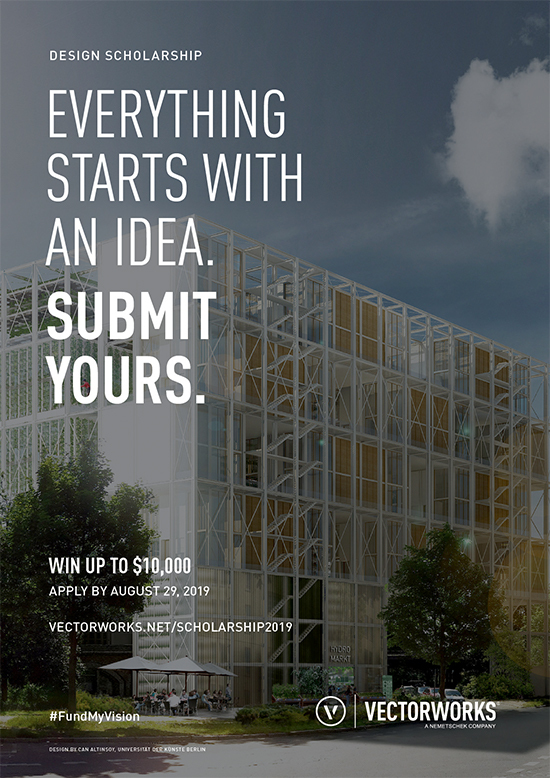 The Vectorworks Design Scholarship is designed to meet the needs and qualifications of a variety of students. 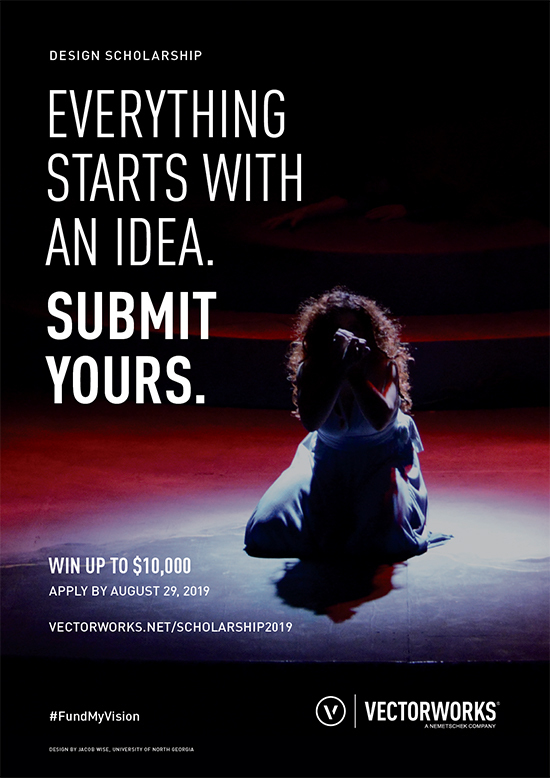 At the time of submission, scholarship applicants must: have graduated no earlier than 2017 with an acceptable design-oriented degree OR be 1) enrolled or accepted for enrollment in undergraduate or graduate studies for six or more credits at an accredited college or university, and 2) pursuing an acceptable design-oriented degree. The following are acceptable degrees: architecture, interior design, facilities management, home builder/remodeler/design-build, M/E/P, space planning, and structural engineering, audio/visual, event planning, exhibition design, lighting design, scenic design, and TV/film, land planning, landscape architecture, landscape design, landscape design/build, and nursery, manufacturing, furniture design, industrial design, machine design, and woodworking. Individual entries are accepted. We also encourage multidisciplinary team entries with no more than six members per team. All team members must be eligible under the terms. 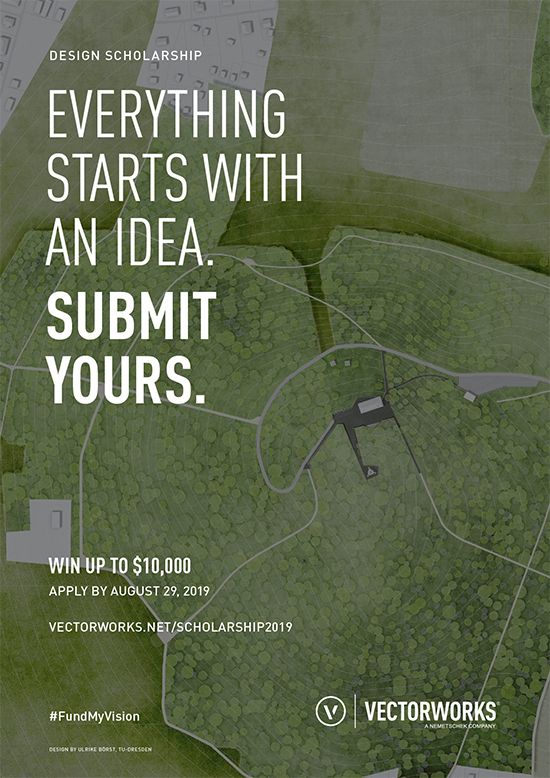 Vectorworks Design Scholarship winners advance to compete for the Richard Diehl Design Award, a global award providing an additional prize package including $7,000 USD, professional networking opportunities, media exposure, and other benefits. Esteemed judges from the industry will rate submissions according to an established rubric. February 8 2019 CALL FOR ENTRIES ///////// WOW US WITH YOUR BEST WORK. August 29 2019 SUBMISSIONS DUE ////////////////// IT’S BETTER LATE THAN NEVER. October 16 2019 WINNERS REVEALED /////////////////////////// PREPARE TO BE AMAZED. Download a zip of our four industry-specific posters to share with your school or download your poster of choice below.